The Foo Fighters have announced their first US show of 2017. The band will perform at The Bottle Rock Festival in Napa Valley, CA over the May 26-28 Memorial Day weekend, alongside fellow headliners Tom Petty and the Heartbreakers and Maroon 5 and more than 80 other acts at the annual event. Tickets for the festival – including specially-priced early bird passes – will go on sale January 4 at 10am PST. The US appearance marks the Foos first scheduled date of the year and lands a couple of weeks ahead of the group’s summer festival series, which currently is set to begin at the Secret Solstice Festival in Reykjavik, Iceland on June 16 and followed by shows across Europe. 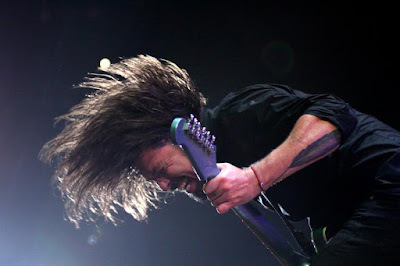 The Foo Fighters’ return from a planned hiatus follows extensive touring in support of 2014’s “Sonic Highways”, an album that also featured a companion, 8-episode documentary series of the same name that went on to win a pair of Emmy Awards in 2015.